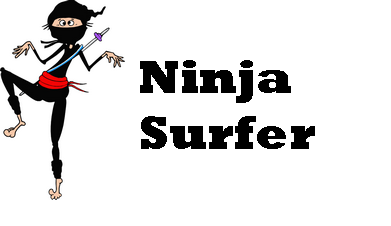 Ninja Proxy Surfing – Page 3 – Surf like a Ninja, through firewalls, filters and geotargeting. If you’ve ever had a need to find an Australian proxy to watch videos then you’ve probably discovered that it’s not easy. Actually finding a decent free one is pretty much impossible – believe me I’ve tried. The reason I’ve tried is that I have a few friends from Sydney who are working in the UK for a little while and they really miss their TV shows and news from ABC (the Australian one). Now normally I wouldn’t be arsed about this – from what I’ve heard Aussie TV is pretty awful. However this bunch are great and I guess you get homesick so I wanted to try and help them out. To access the shows and stuff on ABC they have a system a bit like BBC Iplayer but their version is called IView. It only allows you to stream shows not download them and unfortunately like the majority of these sites – most of the content is Geo-Blocked. Basically it means that if you connect from outside Australia then you’ll get blocked from viewing. 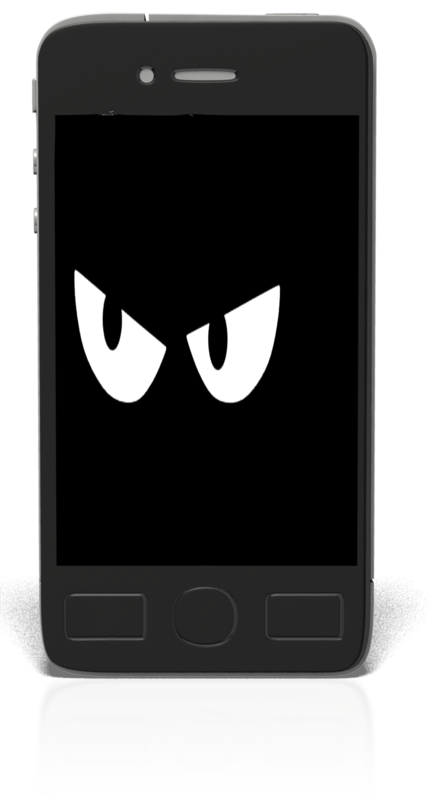 Blocked to copyright reasons, digital rights – blah, blah, blah, which is what you’ll get for any non-Australian IP address. 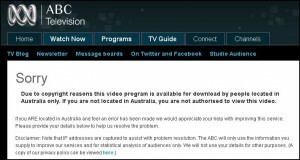 So you need to view using an Australian VPN or proxy to watch most of the content on the ABC site. If you want to try and find a free proxy to use then this site is probably the best chance – Proxies filtered by country. I looked for a few days and never found one fast enough to stream video unfortunately but you might be luckier. The other free option I looked at was to use TOR and Foxy Proxy. Basically this has the same problem with finding an Australian exit node which works well _ I’d give this a miss unless you have about 10 hours a day spare (every day!). After making some calls I discovered that one of the main reasons that Australian proxies are so hard to find is that bandwidth costs are extremely expensive in Australia and so running an open proxy will get extremely expensive very quickly. These costs unfortunately are reflected in the private companies who offer these services as well – they’re either very expensive or completely overloaded. The vast majority don’t even bother with Australian servers due to the high cost. In fact they’re nearly as expensive as some of the residential ip providers which you only currently need for Netflix. So I’ve highlighted two companies which offer the best deals – both offer very reasonable subscriptions and short term/trial options which don’t lock you into automatic subscriptions (which many do!). They both also include Australian servers as well as servers in loads of other countries – e.g US for American sites like Hulu, NBC and Pandora and UK for the BBC Iplayer. Lots of other countries included for free as well. Here’s one in action from Youtube…..
It’s entitled Using an Australian Proxy if you want to watch it here on YouTube site. Anyway I checked a load of these services and here’s my favorite, better than everything else I looked at. Identity Cloaker – Have now added some Australian proxies to their subscription, they have more servers but perhaps less countries (focus on UK and USA servers) than the other top services. However personally I prefer fast servers in specific countries rather than servers all over the place. The Australian proxy servers were very quick with the latest version of Identity Cloaker software which uses a compression algorithm to speed it up. Use the . to test, very good support. Update -2018 – Found another one and it’s fantastic for Australian channels (and lots of other stuff). It’s actually a Smart DNS solution and you don’t really need and Australian proxy to watch videos anymore. the advantage of this is that the entire connection isn’t streamed through another server which makes it much quicker. What’s more you don’t need to take my word for it as they have a free trial here – . This page is for all of those who get really fed up that the minute we step outside the UK all the online UK TV sites stop working. Especially of course the BBC iPlayer, which many of us use everyday! If you want to watch BBC Iplayer on a PC/Laptop – Try this post first – How to Use a Proxy to access Iplayer – below follows step by step instructions on using BBC iPlayer abroad on your iPad. I’ve been using the VPN function of Identity Cloaker for several years to access the BBC abroad on my computer. However I often get emails about whether you can use it on different devices to watch BBC, ITV and other online TV players. Well you can use it on most devices, including Smartphones, tablets and laptops. Anyway here’s simply how to set up Identity Cloaker on the iPad, the steps for an iPhone, Mac or Android Device are pretty similar too- details if you’re using Identity Cloaker are in the members area. Accessing the BBC Iplayer (and ITV player) is actually pretty simple to do. The reason is that the vast majority of their security servers are VPN enabled. That means all you have to do is set a simple VPN connection on your IPad to a specific server and then you can enable it when required. The functionality is built into the iPad so nothing too difficult is required – let’s show an example for accessing the BBC Iplayer channels abroad. So How Can You Watch BBC Iplayer Abroad? Even From the US on Your IPad? The solution on the PC is very simple, you just use something like Identity Cloaker to conceal your true IP address and present one from the correct country. The solution is actually similar on the IPad (you can use the same technique on the Mac/Iphone/Ipod as well) – you just need to connect to a server based in the UK (or which ever country you need). 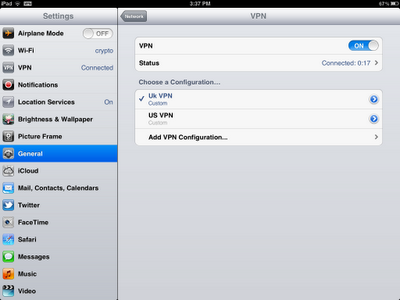 How to Enable a VPN on your Ipad from Neil Greenhoff. If you prefer pictures, then here’s how you set up the VPN on the iPad it takes about a minute if you have the information to hand. Just set it up, enable the VPN and you’ll be watching the BBC Player outside UK borders in no time at all. You can see in this screen I’ve already set up a US VPN which I use for Hulu and Pandora. Here you just need to select Add VPN Configuration and you should reach this screen. It looks complicated but honestly it’s not. Server – Get the enabled VPN server names from the members area. Secret – Get the VPN Secret Name from the members area. That’s the tricky bit over with, next click Save from the top right hand corner. The next step is to enable your VPN connection. To do this you simply select whichever VPN configuration that you need, so if you’re in the US and want to watch the BBC then create and enable a UK VPN. In this screen just select enable and it will turn on your VPN – this will route your connection through the UK VPN servers. When this VPN is connected, all your traffic is encrypted and routed through whichever server you are connected to. It’s best to disconnect after watching unless you want all your browsing routed through the UK. Be careful when you’re choosing a service to use on your iPad, if you search online you’ll see many posts about a BBC iPlayer VPN not working. This is because most of these services have been blocked by the BBC and other channels so you won’t be able to watch any UK TV abroad on iPad if you use these. Pick a proper security service like Identity Cloaker not one the TV streaming vpns, they’re easy to detect and don’t work anymore. If you haven’t got Identity Cloaker yet – I can definitely recommend it, it’s probably best to try the . to see how you get on with it. They have a very professional set up and the servers can cope with streaming video without any issues . They have many UK and US servers plus ones in France, Germany, Poland, Ireland, Sweden, Australia to name but a few – all included in the subscription. It’s also one of the few services which allows you to watch Sky Go abroad too, but you’ll need a valid subscription first. Here’s the link for Identity Cloaker – I can recommend the 10 day trial subscription here to try it out first. This method may work with other VPN providers who have set their servers up properly though – just ask them. I have just discovered another interesting alternative for those of us looking on how to watch bbc iplayer abroad on ipad. It’s called Smart DNS, it’s arguably easier that using a VPN especially on devices like iPads. It’s called Smart DNS and only takes two minutes to set up, if you follow the instructions – what’s more they have a free trial which you can test here – ..